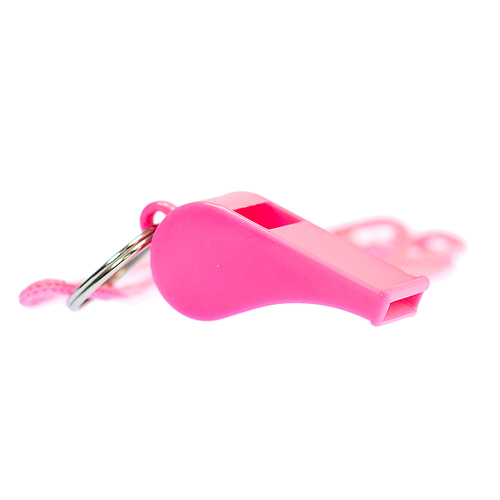 Arm your hen party brood and gain lots of attention with this novelty pink whistle for a bird song that nobody will be able to block out! 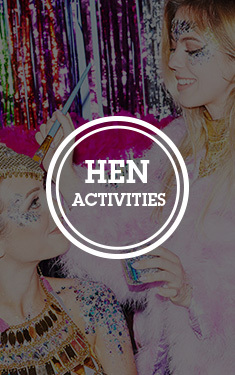 The whistle is a great way for keeping tabs on the rest of your hen group or why not try using it when someone's at the bar when you are feeling too lazy to go yourself! 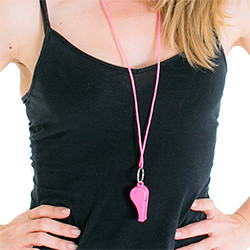 The hot pink whistle is a very girly hen party accessory and with the attached necklace, it's very difficult to lose, unless of course you are doing some very crazy dance floor moves! "It's a whistle. It's pink. It makes a loud noise. Good stuff." "Does not whistle very well but looks nice." "Good quality whistles, no complaints." "Very good. Got next day delivery as agreed and a great price, half in fact of what another competitor was trying to chargeWill use you again. Thanks"
"This pink whistle was very good for the hen organiser as a way of keeping hens in place and getting them to places on time! Good for hen to whistle when she needed something. Nice touch to the outfit. Quality good." "Exactly what I hoped for, they were actually used for cheering on our runners at the London Marathon rather than for a hen night but they certainly did the job! " "They are just what I wanted and were packed nicely so they didn’t get tangled." "Had a lot of fun with these! " "every bit as pink and whistly as i expected." "recommended .. everyone knew where we were or that we were on our way!" "kept using these all night"
"Excellent Vaule, good quality again just a littel extra for the goodie bags"
"great for hen night goody bags"
"Came in handy when we were getting separated!" "Got plenty of use and again followed the pink and black theme of the night."